Before you buy that Picasso…….. There was a pretty good article on March 2, 2012 in the New York Times Arts Section on the due diligence recommended before you buy that expensive piece of fine art: 1. Check provenance; 2. Check the Art Loss Registry;and 3. Authenticate! Authenticate! Better yet.. before you plop down major bucks on a fine art purchase, hire a seasoned art consultant to do all these things for you and protect yourself against fraud or simple mistakes. A penny wise……. 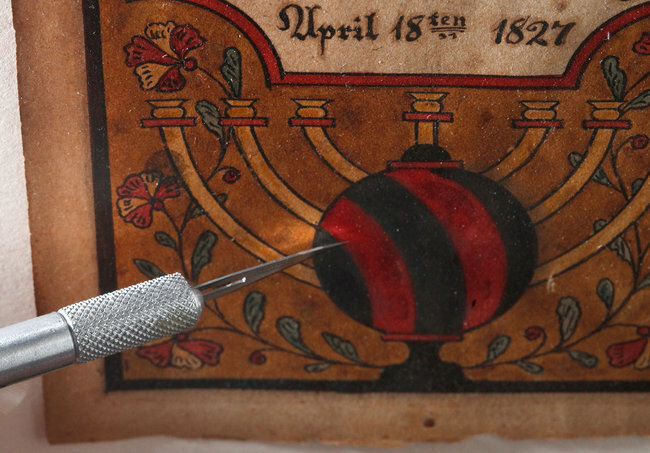 An illuminated section of a painting is tested for authenticity at the Winterthur Museum in Delaware.